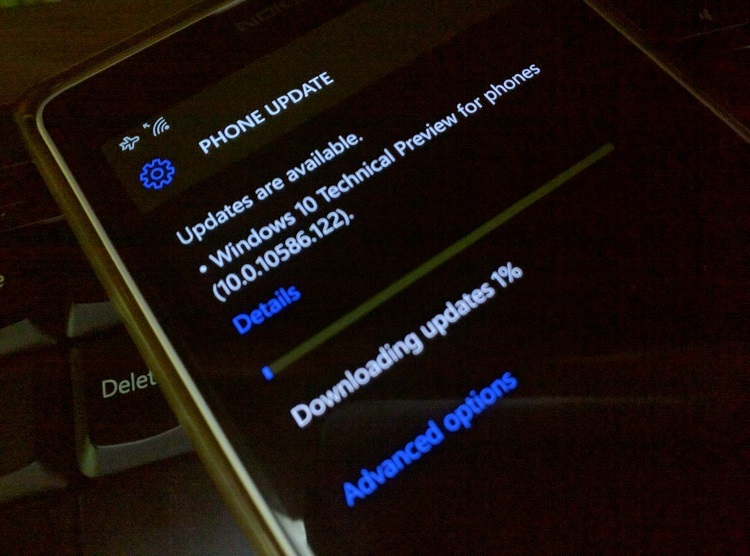 Microsoft rolled out another insider preview build 10586.122 to slow ring and release preview ring. 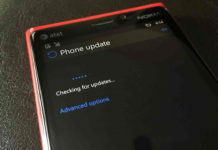 As from previous Redstone build fast ring is only available for new Lumia phone i.e. 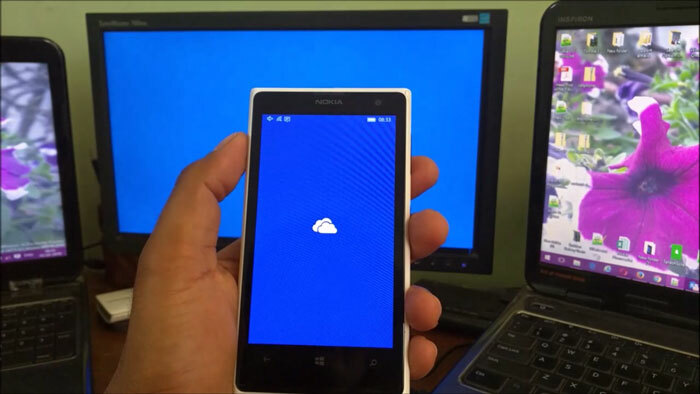 Lumia 550/650/950/950XL. To get this build you need to enroll to slow or release ring. See our earlier post for more details. 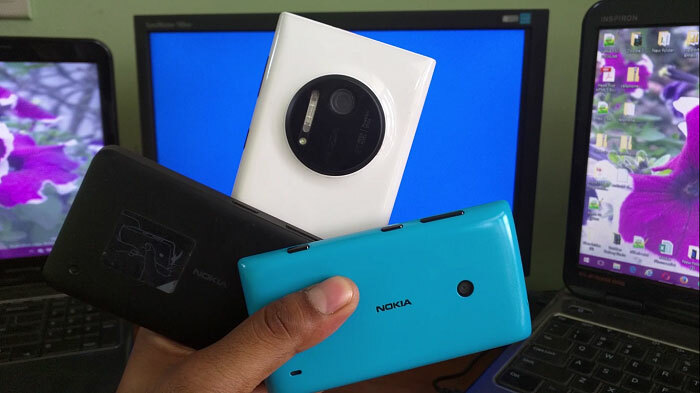 We checked a quick first impression with the Lumia 1020 and Lumia 630. In short there are improvements and mostly stability improvements only. There is no such major addition of features as we saw in Redstone build like ‘3G Only option came back’. You can watch the Redstone build impression here. We have explained all changes description in our demo video (end of the article) for a better understanding in case you want to know. Since most of the changes are stability and fixes they are not visible if you wanted to search them. They can be experienced from day to day usage only. 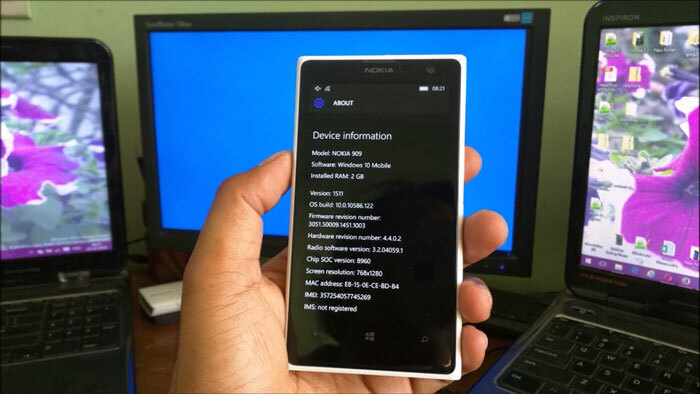 The download process on Lumia 1020 takes 15 minutes on 8 mbps Brodband connection using insider low ring. 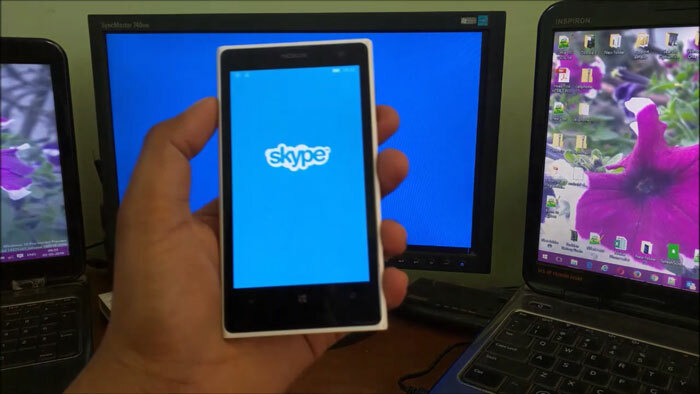 The same 15 – 20 minutes time it takes for Lumia 630 using insider release preview. The installation time takes around 30 minutes including data migration too. We noticed that boot time as reduced as mentioned by Microsoft. 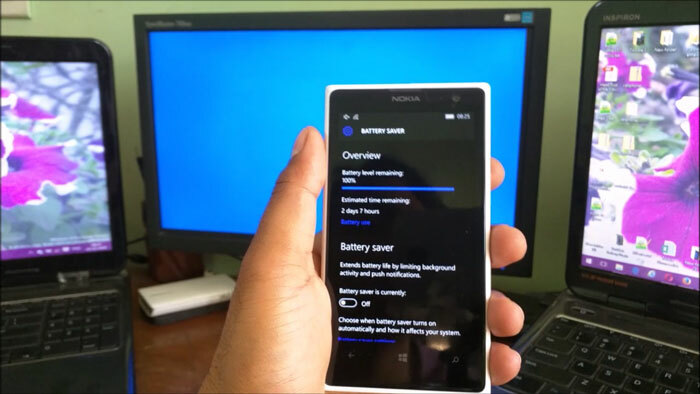 Lumia 1020 switched on in lesser time as compared to previous builds. General usage like app opening, few text on WhatsApp and hike is fine. Usually, on first boot device tells its story itself. 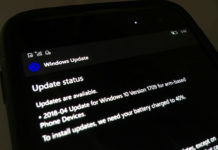 The windows 10 mobile seems to get stable day by day and it’s a good sign as already Microsoft is way behind the schedules of releasing Windows 10 Mobile. 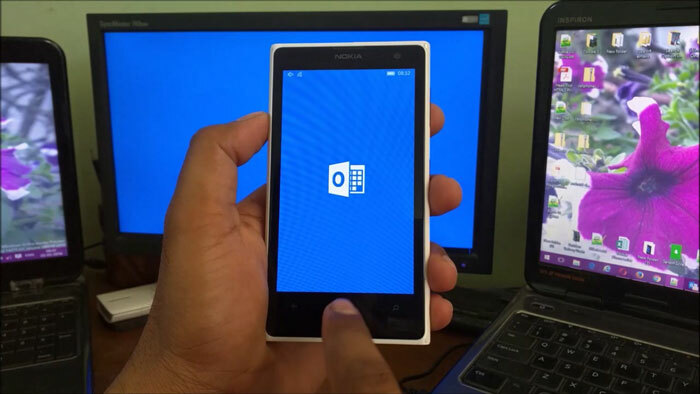 Lumia 630 on the other hands does a good job as usual. 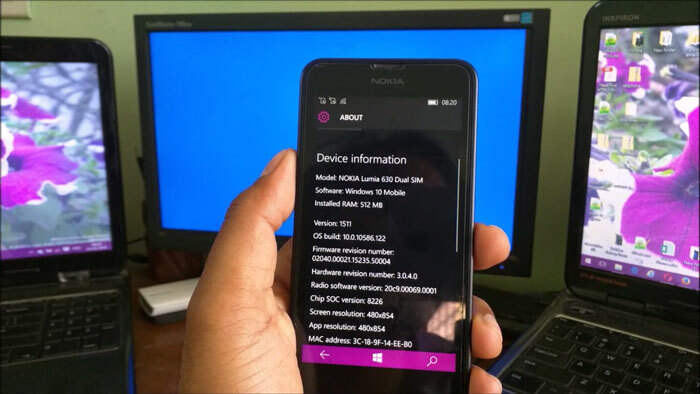 You can see the previous 10586.107 review of Lumia 630 also. In short most apps opened very fine. You will not feel any difficulty. 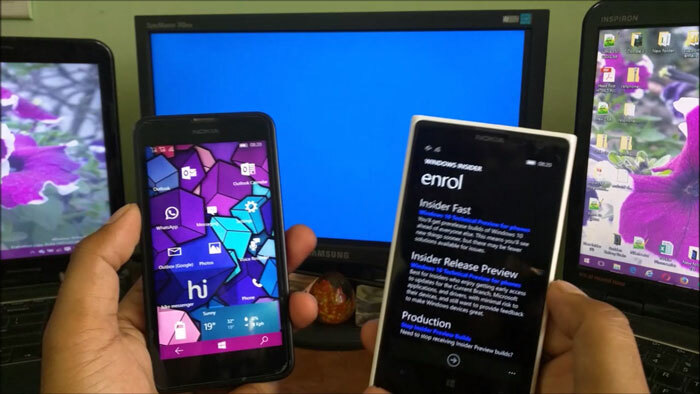 Before to build 10586.107 when we do app switching we found some of the app previews went dark. In this build, we didn’t have any such issues on that. Although in our demo we haven’t does much but after that till the writing of the post we have done heavy app switching and phones handles fine. Also, app switcher takes lees time too, we did notice that too. 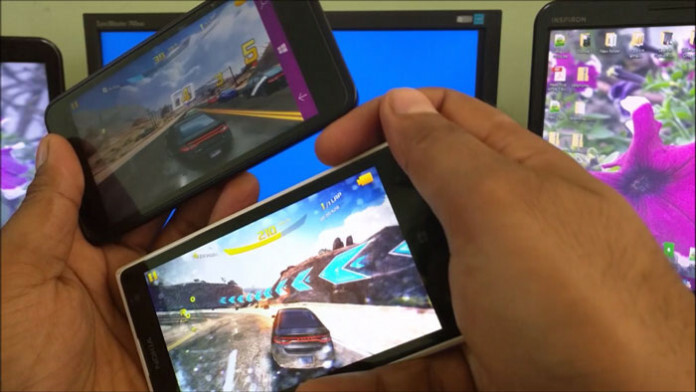 Its funny first time we tried to play Asphalt 8 game together in both Lumia 1020 and Lumia 630, but we are not able to play at last :). But starting Asphalt on Lumia 1020 even on high graphics is really good compared to previous versions. We are sure on playing most games there will be improvements. Also, it depends on the device you are running. 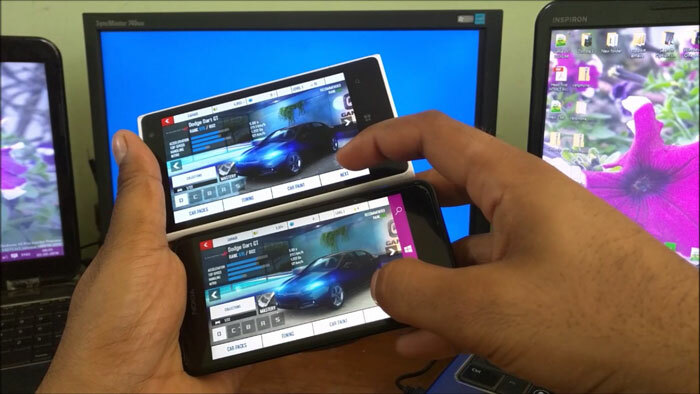 We are playing games on other devices too and will share our experience soon. 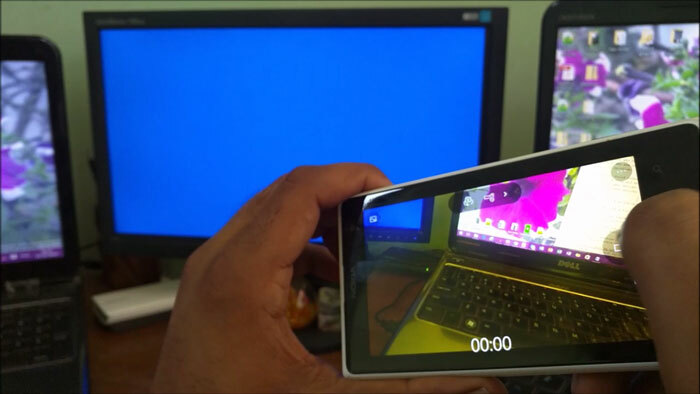 Windows Camera is now working fast compared to Lumia Camera. 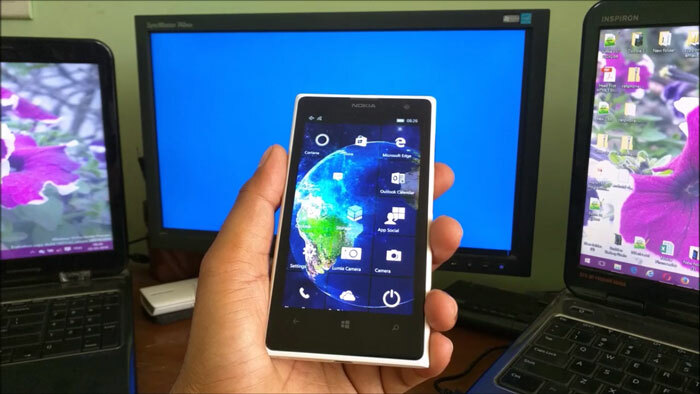 The Old camera king Lumia 1020 works very smooth using Windows Camera. See in the video below for more details. Yet the quality of the picture depends upon your device too. Initial battery statistics is very good, On 100% charge Lumia 1020 is showing 2 days and 7 hours of standby time and yes our device is 18 months old now. Till editing of post we still have 75% battery left on general usage. We noticed some of the app icons like MSN Weather is missing, We are yet finding and listing the issues and want to make this is a separate article. 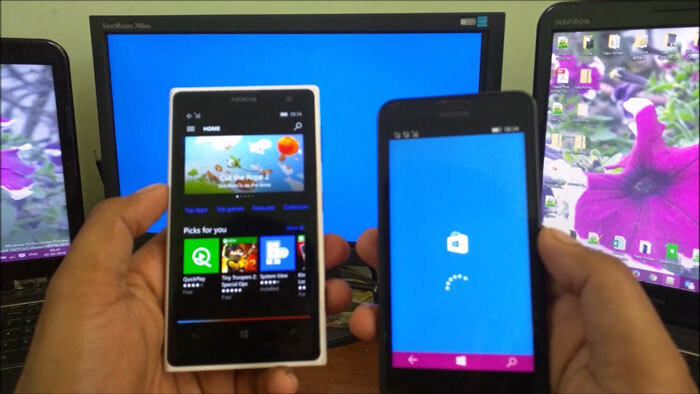 As said earlier also windows 10 mobile is getting stable day by day and we are enjoying each build. If you want to update you can go ahead but make sure to take the backup before installing the build. We will soon come with a detailed review. Stay tuned and thanks for reading. Let us know if you have any questions. “We noticed soem of teh app icons like MSN Weather is missing”?